Award-winning series The Met: Live in HD to movie theaters around the world for a fifth season, beginning with Das Rheingold. This live transmission of Richard Wagner’s opera, the first installment in the composer’s epic, four-part Ring cycle, will be presented for only one day on Saturday, October 9, 2010 at 1 PM Eastern Time/ 10 AM Pacific Time in select movie theaters. 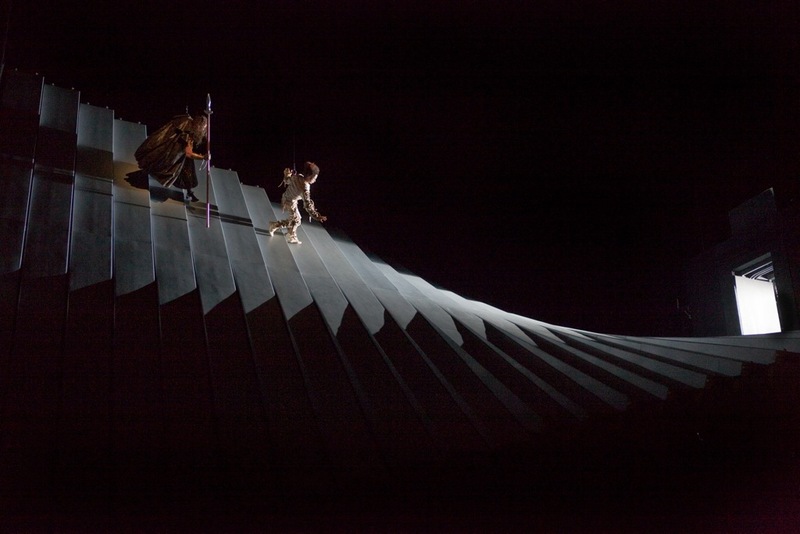 The new production, conducted by James Levine and directed by Robert Lepage, relies on a complex set that uses advanced technology and is the most challenging staging the Met has ever produced. Bryn Terfel sings the leading role of Wotan, heading an acclaimed cast. Last season, more than 2.4 million tickets were sold for Live in HD events. The upcoming season, featuring twelve transmissions through May 14, will reach 1500 theaters in 46 countries. For ticket and theater information, visit http://www.metopera.org/hdlive. Among theaters offering this event in the Bay Area are the AMC Bay Street 16 (Emeryville), Century Theater (Hayward), Cinearts Sequoia 2 (Mill Valley), Palo Alto CineArts 2 (Palo Alto), Pleasant Hill Downtown 16 (Pleasant Hill), Century Theaters at Tanforun (San Bruno), San Mateo Downtown, Regency 6 (San Rafael), and Cinemark SF Cinearts Empire 3 and Century 9 (San Francisco). And since this New York matinee is live, remember that it’s at 10 a.m. Pacific Time.